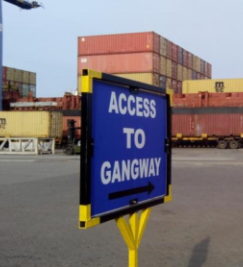 Today, to enhance trade and competitiveness, terminal operators must innovatively enhance offerings and standards, both efficiently and economically. At DP World Chennai it is our constant endeavour to evolve and change our approach and do things differently, all with the ultimate goal of bringing the best value to our customers at large. Growth will continue and we must prepare for it in earnest, we ensure this by honing the leadership skills of our management and empowering the staff to find new and efficient ways of operating. We work hand in hand with shipping lines, and with importers and exporters to ensure we meet their needs today and prepare for tomorrow. Innovation, diversity and long term relationships with customers and business partners will continue to be the main drivers of our business. Earlier the wharf was accessed by checkers, lashers, supervisors, superintendents, other department people, etc. 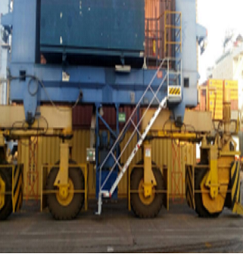 As a mission, and in line with DP World’s utmost commitment to safety, Wharf area has been declared pedestrian free. The Checkers previously posted beside the cranes have been placed in cabins to interact through mike announcement system with drivers. The lashers have been relocated from under the crane to the upgraded pinning/unpinning stations. The supervisors and other people who access the wharf have been given vehicles to access the area. 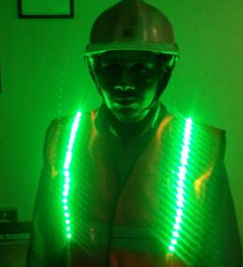 Re-designed LED based PPE jacket issued to contractor work force employed in critical areas of daily operations. Designed in-house, these jackets provide clear visibility at night and other low visibility conditions. Spark over and damage to HT cable substantially. The failure caused Operation down time of more than 8 to 12 hrs of Qcs . The joints provided do not last for a year or two. The cable costs more than 45 lacs..
Metallic wires in the bird nests formed in HT cable reel pierced in HT cable on QCs. The insulation sheath damage resulted in spark over and damage to cable substantially. 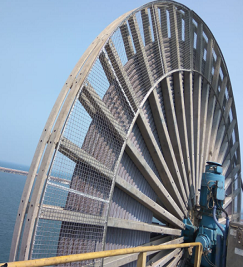 In the empty area of the cable reel a guard metallic mesh installed. This simple solution will save down time and damage to costly HT cables. The risk of rupturing joints provided post damages of cable is averted . up of water proof plastic shells filled with 1.25 kg of dry chemical powder and placed strategically over engine and alternator. In case of fire in the engine canopy, the fire ball come in contact with flames, within 5-10 seconds the ball will get burst and splash the dry chemical powder( Non-Toxic Mono Ammonium Phosphate) over the flames inside the engine canopy their by extinguishing the fire instantly. On RTG risky Monkey ladder is used to climb the RTG to reach Electrical room and Operator cabin. Globally there were incident of operator fell down while disembarking from the RTG from Electrical room to ground level on the monkey ladder. To avoid major injury and fatality a safe staircase is installed. 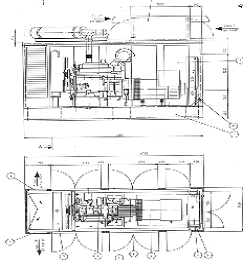 Optimized Design for narrow passages in yard, fabrication and fixing of staircase for RTG access to Electrical room and operator cabin instead of Monkey ladder . In past oil spillage and improper handling and storage of waste oil ,used filter observed. Design and fabrication of collection tank with piping lines for collection of used oil directly in barrels. With this system oil spillage is contained. Oil from collection tank is collected in barrels through pipe lines. Filled barrels are removed and moved to used oil storage bund. 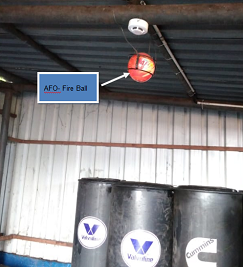 AFO Fire Extinguisher Ball fixed in Used oil bund. AFO is a fully automatic fire extinguisher. When throw into or rolling to fire, it will explode and make huge noise to catch everyone's attention nearby. In case of fire, it will put out the fire by itself thus guarding lives and property.